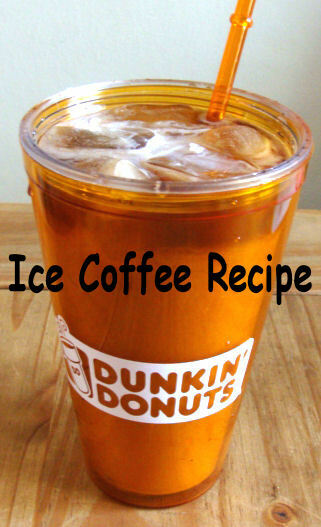 I have a great recipe to share, compliments of Dunkin’ Donuts Party! 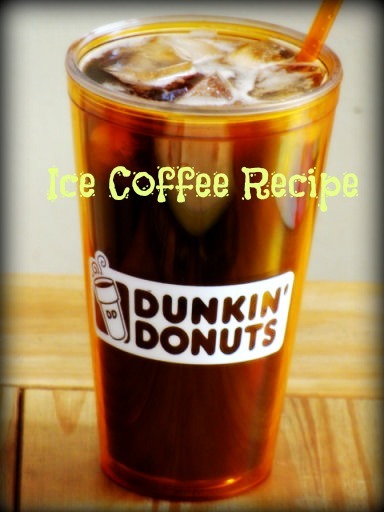 Here is their fabulous recipe to make your own Dunkin’ Donuts Iced Coffee at home. Brew coffee in a coffee maker, use 3/4 ground coffee and 1 and 1/2 cups of the water. Combine hot coffee, sugar and half and half in a pitcher. Stir until sugar is dissolved. Blend in 1 1/2 cups cold water. Chill until ready to serve. Pour over ice in tall glass. Add whipped cream if you like! I have made this recipe and it is very, very good. Then again, I really, really love iced coffee! I do this at home but i use light cream instead of half and half….love ice coffee! I added a tablespoon of brown sugar to this concoction and it was just what it needed! !! Even better! 🙂 Thanks for sharing!